Lock in a great price for DW Motel – rated 8.4 by recent guests! located right next door to the Cultural Center where the event I was attending was held. hotel suited my needs for the short 2 day stay. 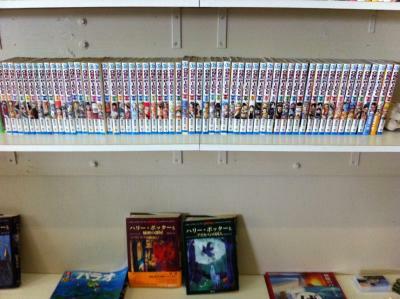 Reasonably priced for Palau, but basic. I would stay here again if I didn't want or need the resort experience. Pleasant and helpful staff. A quick walk to a good diner. Plenty of closet space and hangers, working refrigerator in room, good housekeeping and helpful staff. DW Motel is a great deal. It's simple, very clean and affordable. They have friendly dogs on the property which makes it feel welcoming. The staff is friendly and helpful. They gave good recommendations and helped arrange transportation. There is always coffee and tea available. Rock Island Cafe is basically across the street and a comforting diner atmosphere with familiar food. There are convenience stores and a market within walking distance. I recommend DW Motel for reliable and low budget stay. Property was cozy..felt like home. Rooms were clean and comfortable. Decorations on bed (towel art) was wonderful. Nice area inside & outside to sit and relax. Nice kitchen if you needed to cook. Coffee & tea always available. The staff were amazing and super friendly. 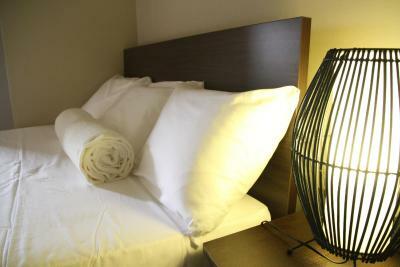 I liked the cleanliness such as the decor in our beds each time they cleaned. 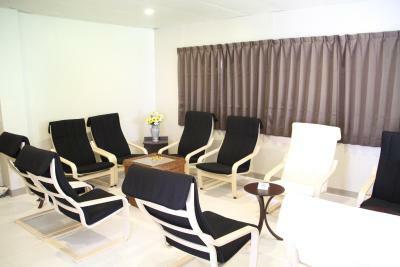 I liked the style of the room (felt homey) and there was a living room area to relax and have coffee and tea. I liked there was a kitchen and laundry appliances available. The staff were friendly and the facilities are clean. Room size was good, it was clean, and included a mini refrigerator. It was quiet. 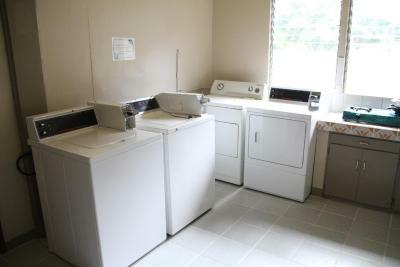 There is a basic shared kitchen and 2 sets of coin-operated washers/dryers. The staff was always very friendly! Rooms were also clean. Came with towels and a minifridge and had working AC. 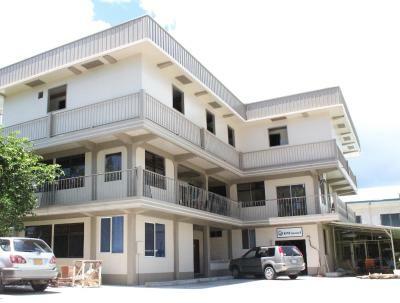 One of our top picks in Koror.Offering a sunny communal terrace and a shared kitchen, DW Motel is perfectly located for scuba diving and snorkeling. All rooms offer a refrigerator and a desk. 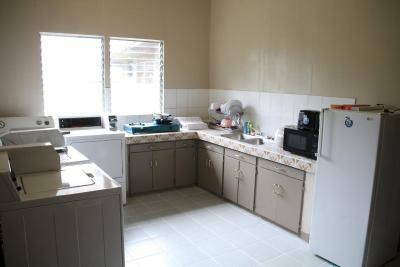 Koror DW Motel is 8 minutes’ walk from Seaworld Dove Center. It is 3 minutes’ drive from Palau Terminal Port, the departure point for boat rides to Jellyfish Lake on Eil Malk Island. Guests can book sightseeing activities, island tours and fishing trips at the tour desk. Bicycle and car rental can also be arranged onsite. There is a scuba equipment-washing tank available to guests. Union Pay credit cards are accepted. 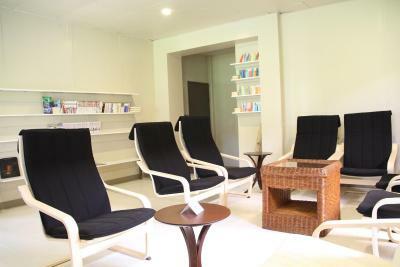 The air-conditioned rooms feature wardrobe and an private bathroom with a shower and a complimentary toothbrush/toothpaste. Towels are standard in all rooms. You can visit a grocery store and a café within 5 minutes’ walk. When would you like to stay at DW Motel? 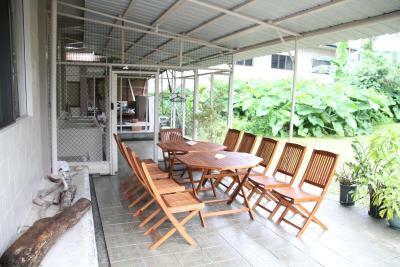 This air-conditioned room features a refrigerator and an private bathroom with a shower. 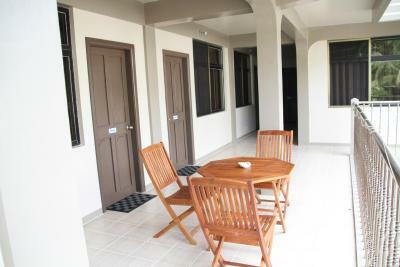 This air-conditioned room features a refrigerator and a an private bathroom with a shower. House Rules DW Motel takes special requests – add in the next step! DW Motel accepts these cards and reserves the right to temporarily hold an amount prior to arrival. Please note that there is a 5% charge when you pay with a Visa or Mastercard credit card. Transfers are available to and from Airai International Airport. These are charged USD 20 per person, each way. Children up to 2 years old receive free transfer. Please inform DW Motel in advance if you want to use this service, using the contact details found on the booking confirmation. Friendly and helpful staff. 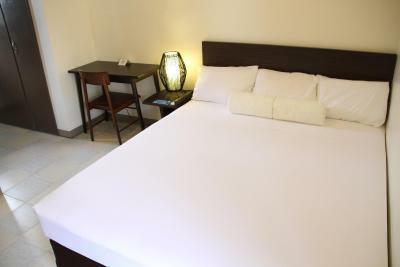 Good clean hotel close to several restaurants and 15mins walk to downtown. The rooms, service and staff. We had to go outside and lean over the balcony in order to connect to the wireless internet (or sit in the non AC guest 'lounge'.) It would be good to at least have an electric jug available in our room. A hotel dog barked a bit some nights and it had a bad habit of scrounging for food if we ate outside our room. Providing long term guests with an evening departing flight (24 hour duration in our case) with access to a late afternoon proper shower (for a fee if necessary) would have been a friendly and considerate act (as it was we were offered the use of the hose in the outside washdown area, which was better than nothing). By comparison to most (all?) 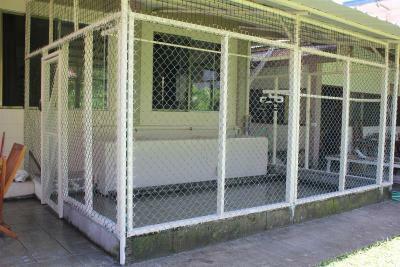 of the other accommodation options in Koror, this was the most affordable. Palau is not a cheap destination. This was more backpacker style which was fine given that we were able to meet and exchange travel info with other like-minded guests. The front desk was as helpful as they could be with local information and making phone calls on our behalf. Older towels were available for daily beach use. Rooms were cleaned and bath towels changed daily with some entertaining towel art appearing each day! A basic, well maintained, very clean property in a quiet location, but very convenient to town, stores, restaurants. 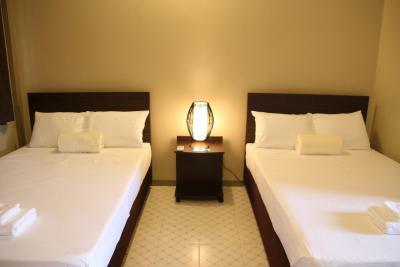 The staff were exceptionally accommodating with early check-ins and late check-outs. Good hot water for showers, access to kitchen and a mini-fridge in each room. AC was very good. There is free parking available, but more cars than space unless you park early. Internet service was unreliable in room and a separate cost. No alarm clock in room and no radio or TV. Hauling bags up two flights of stairs was challenging in 85 degree heat. Free wifi would be a nice touch, but this isn't the norm in Palau. Also it would be good if there could be a shower room kept aside for guests with late flights; even at a small cost. There is however an outside shower which can be used. I had quite low expectations, as this is one of the cheapest places in Palau (and probably the cheapest room with a private bathroom) but was actually very surprised. The room was spacious and comfortable; everything was spotlessly clean, and there was a nice common room area with free coffee and tea. Best of all were the staff; everybody was extremely friendly and helpful, and they were happy to help book tours and give advice on Palau. Palau is an expensive destination so this is a great place to save some money while still staying in some degree of comfort. 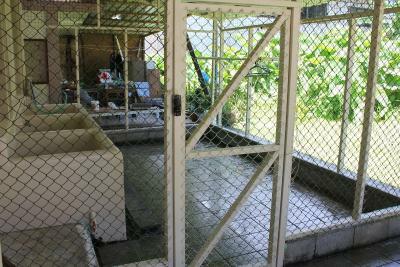 The location is great too; just set back from the main road and a 5-10 minute walk into Koror centre. Going the other way, it is about the same distance to both Malakal island and Meyungs. So you can easily get to the sea, which is surprisingly difficult in Koror as the town is mostly surrounded by mangroves and jungle.